Writing your blog post is only the beginning. The next challenge is to promote your blog in order to get maximum exposure and attract attention. Having a loyal band of readers who regularly engage with your blog and come back for more is fundamental to achieving success as a blogger. You may have the best blog in your niche filled with valuable and informative content, but what good is that if you don’t have a regular stream of readers to appreciate and act on your work? Not matter what else, you need faithful readers who keep coming back for more. Relying solely on search engines mixed with a bit of promotion might get you a few eyeballs, but fundamental to your success is recognising that building a loyal readership isn’t something that happens overnight. Rather, it is an ongoing conscious effort to create, maintain and learn what works best for you, through the use of employing smart marketing techniques and tactics. One of the most powerful mechanisms of a Blog is its RSS feed that allows you to automatically feed your Blog’s content to many different places, including many social networking sites. This can significantly expand your reach and saves you hours of time where you would otherwise have to post your content manually. There are also many other social sites that allow you to plug in your blog’s RSS feed, make sure to link it to all of your available platforms and the potential reach of your blog becomes significantly increased. Providing helpful, valuable comments on other blogs can be a great way to generate traffic, develop relationships and build a following. Once you have finished a blog post on a topic it is worthwhile to do a quick search to find other blogs covering the same topic, you can then add your viewpoint in a genuine, non-self-promotional way. Showing yourself to be insightful and willing to provide advice is always welcomed and appreciated and is often rewarded in the form of new relationships with other bloggers who are more likely to mention and promote your blog. Anywhere your customers interact with your brand is an opportunity to encourage them to look at and interact with your blog. There are several key areas in which you can promote your blog, from mentioning it on your e-newsletter, your email signature, to your business card and product packaging, promoting it across all your other social media platforms and reaching out to influencers in your niche when you publish great content. Email Marketing – highlight your blog post by including a clear link to and/or a section of your blog post to help drive traffic to your blog and your website. Twitter– Tweet a summary of your post, a quote pulled from the post, or share a link to and encourage others to comment on the post itself. You can also include your blog’s URL within your Twitter bio to help drive traffic. LinkedIn – Share your post with your groups and others that you know may be interested in it, this can start discussions, encourage engagement and debate that can fuel new content for future blog posts. Pinterest – Create a board that is purely for your blog posts remembering to use an interesting and relevant image to be pinned along with it and keep the boards location high so it is clear and one of the first boards that is seen when on your profile. Guest Post Opportunities – Be proactive in looking for other bigger websites and blogs that have opportunities for guest posters. This is a great opportunity for more attention from a potentially new audience and linking back to your own blog can help with traffic. Similarly you yourself can encourage others to guest post that can bring with it a new audience and following. Meetings, Events and Giving Presentations– Remember that whenever and wherever you meet people this presents an opportunity for you to promote and refer the audience to your blog. Similarly for the very savvy marketer, you can also utilise digital technologies such as QR codes on your packaging that can allow people to quickly and easily subscribe to your blog. Social Media Advertising – For particularly important and popular posts, consider using social media advertising to promote shares of your blog posts on Pinterest, Facebook, LinkedIn and Twitter. A website banner provides the perfect opportunity and space to create a clear call to action for driving traffic to your blog. Consider placing calls-to-action banners on different pages of your website and use language that encourages people to want to go forward and view your blog. One of the most popular website banner CTA’s for blogs is to emphasise the number of people who are already subscribed to your blog and encourage the person that is reading to join them. Blogging is a great way to build an engaged community. By writing your posts in a way that fosters interaction and discussions from your readers you benefit from an active and interested community that will respond to what you write. By listening to what your readers have to say you will gather important information about them from their opinions, interests and ideas to suggestions about your business, all of which are greatly beneficial as they will help guide future content creation and inform business decisions. Hosting contests are a popular and successful way of attracting attention from an audience. From asking people to pick their favourite blog posts of yours and why to having other bloggers publish a post on their blog about you, any relevant and engaging contest will help to expand your blog’s reach and attract new visitors. You need to publish quality content on your blog, but it’s also important to publish quality content on a consistent schedule. Aim to publish a new blog post at least once a week as readers will come to expect a new blog post at a certain time and that will keep them on the lookout for it. They’ll know that if they go to your blog once a week, they’ll be greeted with new content. Similarly, if they go back to your blog and never see new content, they probably won’t return. Making it vital to create and maintain a consistent posting schedule. Whilst growing your email list is one of the most important things you can do for your business, email shouldn’t be the only subscription option that you offer. Not everyone wants to receive more email in their inbox, and if visitors can only subscribe via email, they likely won’t. Everyone should be able to find at least one option (email, RSS, Facebook, and Twitter for example) that suits their preferences. Visitors who enter your blog through your homepage should see lots of content options, however take the care to not make it overwhelming. Showcasing lots of content means readers will more likely find something of interest and stay on your blog for longer. However if you prefer to maintain a minimalist design on your blog page, you can showcase extra content on your individual posts. You can do this by ensuring readers get to see related content and are encouraged to read more posts by referring to related blog posts using text links throughout your content. These links should compel visitors to click through to more of your content since it relates to the current blog post. One of the best ways to get visitors to keep coming back to your blog is by letting them know that you want to create content just for them. You can do this by adding a quick and simple survey feature to your blog that asks visitors what they want to read about next. A survey not only helps you learn more about what content your visitors want, but also ensures that you won’t run out of relevant topic ideas. An added benefit is that once visitors submit a topic idea, they might subscribe to your blog so they can see if you use their suggestion for new content. There is a recent trend to turn off comments on blogs in favour of social media engagement or, in some cases, to reduce the amount of moderation required because of spam. By allowing visitors to leave comments on your blog you turn a site with informational articles into a community. Visitors just want their voice to be heard and if they know they can ask the author questions and interact with other readers, it makes them more likely to return. To encourage visitors to become loyal readers and members of your community, be sure to actively reply to comments on your blog after a post has been published. Have I Met my Goal for This Blog Post? Whatever you set out to achieve with your blog post, whether it’s getting people to take part in research, purchase a product or sign up to your newsletter make sure that the material and links fully support your aim and you have clear and relevant call to actions. Having clear goals also makes it easier to measure your success later down the line and assess whether the blog post achieved what it set out to do. Is my Post Easy to Read, Well- Developed and Presented? Is your information bulleted and has numbered lists for easy consumption? Are the links you use relevant and pointed to the correct webpage? Have you used short and succinct sentences to get your point across successfully? Are your section headings clear and specific to their individual points? Is your post well concluded with good evidence? Does the tone of voice/language fit the overall tone of your blog, and your brand’s editorial guidelines? Did you use custom-made images and screenshots instead of stock photos whenever possible? Have you given proper credit to the images/content you used in your blog post? Have you taken to time to proofread and made sure your format is consistent with spacing between paragraphs as well as font styles and sizes? Have I Directly Targeted my Audience in This Post? You need to ensure that your blog post has been directly written with your target audience in mind. This involves you knowing and learning aspects about them from what content resonates best with them to what needs, interest, problems and questions they have as customers. So ensure your content contains specialised information that your customers will want to read. In doing so will not only will you be maximising interest and engagement from your readers, you will be proving your expertise in your industry. Does my Post Contain Relevant Keywords? In order to increase the potential for your blogs reach, every blog post you write should focus on and reiterate certain relevant keywords for your business. Ideally, when you are writing keep in mind 5-10 keywords and weave them into your content from the title through to the main sections of you post, taking care to not over flood your content making it unreadable and incoherent. As you become more comfortable with writing your posts you will soon find that you develop this skill to fully optimise your posts confidently. Does the Title Grab my Attention and Make me Want to Click on it? The main section of your blog post may be full of brilliant and valuable content, but if you don’t invest the time into creating an optimised your title that makes readers want to click on it, you are making a mistake. When forming a title consider whether you yourself would click on it, is it going to solve a common problem? Improve and aspect of your life or is it exciting exclusive content? Whatever you decide make sure it is compelling enough to click on and is optimised with keywords. You should also pay attention to the length of your title, bearing in mind that the optimal length is between 40 – 69 characters long. A shorter title may not be as descriptive and specific enough to capture attention, and a longer title will be cut off at 69 characters in search results, making your click-through rates likely to decrease. Have I Backed up my Points with Good Evidence? One of the key ways to become a trusted source of information is to provide content that is reliable and backed up with solid evidence to support what you are claiming. So before you publish your post make sure all the points you make are coherent and evidence is there that supports and justifies what you are claiming. Remember people may be making business decisions based on what you write so you must appear informed and reliable and give them clear reasons why what your saying is true and accurate. Have I Included a Clear CTA? By ensuring you include a clear call to action in every post you are making sure that each post is purposeful for your business. Whether you direct the reader to an external site or ask them to leave a comment for example you need to consistently encourage the reader to continue the interaction with you. How am I Going to Promote this Post? To ensure maximum reach and impact you need to consider how you are going to promote your post once it’s published. There are many tips later on in this section, but also consider the means of promotion you personally have at your disposal that can help get your blog post seen more. Blogging offers an easy way for businesses to share informative content with subscribers, fans and followers. Blogs are often considered at the heart of social media as they present the opportunity for you share better, more engaging content than a typical update on social media. This allows you to provide more value in every piece of content you create, helping you to connect with your audience more and become a valued source of information. Follow these top tips to ensure every blog post you write has maximum impact! The headline represents one of the most important parts of your blog post. It is the deciding factor on whether a reader is compelled enough to click on and read your blog post or not and for this reason it needs to grab attention and be concise in stating to the reader the benefit of clicking the link and reading the content. Don’t stress out over your blog titles before you start writing. Often, the best titles come after you have already written a post. That being said, it can be helpful to come up with a basic title before you start writing. Whilst 9 times out of 10, you’ll change this title later on, it will in the beginning give you some direction and focus as you write. Whilst there is no definitive perfect headline template, there are several key characteristics of a powerful headline that compels the reader to click on. Powerful headlines are very concise and specific, they focus on the reader and what interests them and also are keyword-optimised ensuring the right type of reader is going to find them. Whilst it may be tempting (and is relatively easy) to come up with a headline that gets clicked, for example “10 Tips To Increase Your Productivity By 10,000%”. These types of crazy, outlandish headlines will ultimately destroy your credibility. You need to ensure that whichever headline format you decide on, the basic premise of your title is accurate and when people click on your headline they are genuinely pleased with the content they discover as it meets their expectations and delivers on whatever promise the headline made. According to Kissmetrics, the ideal length for a headline is just 6 words as it is easily digestible, short and snappy. When it’s not possible to stick to a 6-word limit however, Buffer suggests using your most important words at the beginning and end of your titles where readers are most likely to notice them. If you want your blog posts to rank for specific keywords or phrases, placing these in your title is vital. Using keywords in your titles is also very important for getting people to click on your posts in the SERP’s (search engine results pages). When people search for a particular phrase, they’re highly likely to click on search results that closely match their search term. While it is important to include your keywords in your title, you also want to make sure your title is catchy and clickable and makes readers actually want to click through. The opening paragraph or introduction is meant to provide the setup for the main content and put the subject matter into context. This section of the blog post needs to clearly explain to the reader what your blog post is going to address and compel them to feel as though they will achieve a significant benefit from reading on and taking in what you have to say. As a general guide there are several key characteristics of a successful opening paragraph that you need to include. Be Direct: Online readers prefer to be clearly told what they are about to read and why they should do so. So avoid over complicated, artsy style writing and make it clear to the reader what you are talking about and why they should listen and take note. Be Concise and Compelling: The success of getting readers to read your whole post lies in how well you convince them at the start of your blog post that they simply have to read on. So whether you are offering exclusive content, a competition or some highly valuable advice, make it clear to the reader and in doing so give them a compelling reason to want to read on. Be Bold and Creative: Ensure you set yourself apart from other generic blog posts by being creative. Don’t stick to generic writing styles, layouts and subject matter as being bold but still informative and valuable can attract a lot of attention and encourage a reader to carry on and read the whole post. Logical Structure – You need to ensure that your blog follows a clear and logical structure that flows coherently, making the topic easy for your reader to understand. Short and Succinct Sentences – Short and succinct sentences ensure readers keep interest as it makes your content easily scannable and digestible, an important aspect for skim readers. Examples and Evidence – Providing evidence and examples that back up your points helps you appear more of an authority with your writing as well as helping your readers to grasp concepts by offering clear and obvious examples that clearly support what you are discussing. Images – Having a variety of images helps the visual appeal of your post as they break up the blocks of text and help to visually illustrate specific points. The conclusion should be a short statement that clearly summarises and wraps up your post. This is the area when you should also include a clear call to action in which you direct the reader onto a next step after they have finished reading your post. Whether it is a link to an external site or encourages them to subscribe, you need to ensure the connection with you doesn’t end when your blog post does. Strategically Placed Keywords – By including relevant keywords and phrases that your target readers are using and strategically placing them throughout your blog post you tailor your content in a way that is going to ensure you are targeting reader’s needs and the chance for maximum search engine visibility. Look to strategically place these keywords across your post from your URL, to your blog title and subheadings. General Formatting – Ensure your blog post is readable and visually appealing by thoroughly checking your formatting and paying attention to key areas such as including sub-headings to help break up text, breaking large blocks of text with images, being consistent with font choice and text size and generally ensuring ease of read with succinct sentence structure and clearly made points. Correct Links and Visuals – If you have included links ensure that they point to the correct location. If you have included visuals such as pictures and videos also ensure you reference and credit where you got them from. Providing informative tips, advice and how-to posts can be very useful to your customers and has the added benefit of promoting your product and its uses. People love to see behind the scenes as it shows them an aspect of your business that they wouldn’t normally see. ‘Day in the life’ posts are a popular example. Running a contest and sharing exclusive content always generate engagement and interest. Just make sure the content and/or prize you offer is relevant and valuable to your audience. If you know any relevant news/ events that are going to interest or affect your customers then share it with them and you will become a trusted industry news source. If you come across any valuable and informative resources such as links, websites, books and products related to your business and industry, then share it with your customers. This can go some way towards establishing your blog as a trusted source of information. A customer testimonial goes a long way in terms of establishing credibility and interest in your product or service. So if you have received a good recommendation or someone has found another useful use for your product then share it on your blog. If you have an industry expert that is of interest to your customers or have celebrity contacts then conducting an interview and sharing it on your blog is a sure fire way to attract attention, even more so if they share exclusive content. Sharing stories from your business founders, staff members, charity work to your business morals and values and your business highs and lows helps your audience get to know and care about you as it shows there exists a real human behind your real business. Google Trends: Google Trends keeps you up to date on the day-to-day pulse of your audiences’ interests. With Google Trends you can see the frequency and popularity of Google searches related to your topic and test the subject with Google Trends. MyBlogU: This free online platform allows you to crowdsource and brainstorm with other content creators. Quora: This is a crowd-sourced, question-and-answer website where questions are asked, answered, edited and organised by its community of users. This can help lead you to the types of questions that real people are asking. As well as having the benefit of building your authority, engagement, and traffic from being a regular contributor on Quora. Buzzsumo: A fantastic source for research, with Buzzsumo you enter a topic or a URL in its search box and then displays a wealth of information. Buzzsumo provides backlinks and shows the content that performs best on social media. Want to ensure your social media presence is ultimately going to be a successful addition to your marketing strategy? Take note of these 24 best practices! Like every other marketing and business initiative, you need to have a goal or objective that you what your social media presence to achieve. Whether you want to use it to improve brand awareness or as a new outlet to interact with customers, having clear objectives for your platforms helps to optimise their reach and impact. In addition, having well-defined objectives also makes it clearer for you in what to measure for your return on investment. It is also worth noting that return on investment with social media marketing cannot always be measured in money. Whilst it can drive sales, the real power of social media marketing is in building relationships with customers. Whatever your objectives, make them achievable and relevant for your business and remember as you progress these objectives may change. It is important that before you engage in social media that you are clear on what kind of image you want to portray of yourself and make sure to keep it consistent across all platforms. This consistency equally applies not just to the ‘voice’ you portray but also to the creative aspects, that is the overall presentation including the colour scheme and typography. If your brand or company uses certain colours then be sure to apply these consistently across the presentation of all your social media platforms. This also extends to a company logo or picture, make sure they are up to date and reflective of the image you want to portray. Having a social media platform is a great way to show a ‘human’ side to your business that customers appreciate and prefer. From this, it is important to have an idea of what voice you want for your page that can be consistently applied across all your posts, especially if your company page is going to be managed by several different contributors. In general, avoid generic corporate speak and replace it with your own unique voice and customers will be more drawn to and engage with you. By setting consistent guidelines over the presentation and integration of your branding into your page it ensures that all these factors support and are in line with your overall branding and help reinforce your message and brand across all social media platforms. It’s important to have a presence where your customers are looking to interact with you. To find out where you should be there are two easy ways; research the demographics of your intended social media platforms and also ask your customers yourself. When you start researching what platforms you think are best for your business, be sure that their main audience are the ones you want to target. The other option is for you to ask your existing customers where they are active online; this will then help guide your platform choices. If you’re not already doing this at least once a day, you need to start. Get in the habit of checking both industry news and the news in the world. You don’t need to read an entire newspaper and several journals, just look to bookmark a few key sites and blogs and at the very least, skim the headlines. Social media covers all aspects of people’s lives and the more you understand about them in a wider context, the more you can understand where your brand will fit into your followers’ newsfeed. The added benefit of scanning the news daily means it will also help you to find real time opportunities that you can utilise for your social media content. On average, 64% of marketers spend at least 6 hours a week on social media. As more social media platforms, tools and features are added into your marketing mix regularly, it can become overwhelming to keep on top of your timing and not to have your social media management impact your other duties. Timekeeping is one of the most vital skills for an efficient social media marketer, so make sure you’re getting everything done by creating checklists for regular tasks and using social media tools that help you work smarter. The number of people following you can only take you so far. Having 10,000+ followers is noteworthy, but at the end of the day it doesn’t matter how many followers you have if they’re not interacting and paying attention to your content. So what can be done to build a community and increase engagement with your current and potential followers? Simple, always insert some personality, humor, and life into your brand and always converse directly with your followers: which is as simple as having a conversation with them, retweet them, like and comment on their posts, and directly ask them to interact with your content. Brand your movement with a unique name and hashtags: Branding your movement will make it memorable and stick out in the mind of your followers. Take time to brainstorm actionable ideas that will get followers involved, whether that is done by posting photos and using your hashtag to group them, running a contest, or throwing events run by your business. For example, you could use the inspirational aspect of getting fit, or New Year’s resolutions, or whichever angle you believe your customers would gravitate towards. Test out a few hashtags, find the one that resonates best, and brand your movement by announcing it on your blog and social platforms. Favorite, like, comment, and re-share their content: Don’t favorite/like everything they post however, that is too obvious. Try to like and favourite a few times per week and comment when you genuinely have something educational and valuable to say. Tweet at them: Whether it’s asking their feedback on your content or asking industry related questions, this strategy works very well as they will be flattered that you thought of them and consider them to be a valuable resource/influencer. Use the same hashtags: This way when they’re reviewing their hashtag feeds they’ll see your content, and perhaps spark their interest. Look for viral videos on YouTube of hilarious children, adorable animals, and inspirational moments and re-share with your own unique spin. Scan the news for the highest covered media stories and add a unique perspective keeping relevant to your brand. Use a popular tool like Buzzsumo to find content that resonates. It’s the easiest way to search related industry news sites and blogs, keywords, influencers, etc. to find the content with the highest number of social shares. Study the headlines that were shared and re-share those articles/headlines with your followers. This will continue the train of sharing, but also show your followers that your social posts are intriguing and follow-worthy. On social media, you can’t depend on passive followers to convert themselves. You need to create as many opportunities to engage people as possible, and it all begins with your content. As people spend longer on social networks, their community expands and with every person followed, page liked, or friend added, they have a whole new set of posts and stories vying for their attention. Brands who have little respect for what people want in their newsfeed will find themselves further fenced off than before, therefore it is vital that the content you share is what your prospects and former customers generally respond well too. This may be a video about how your products work, interesting insights about the culture of your company or shocking stats about inefficiency in your industry for example. Whatever the case may be, build social content that gets your prospects talking to you. Every piece of content that you post is part of your story that you share with your audience. Everything from your ups and downs, your proudest achievements, to your charity work and the people behind your business are all prime areas in which you can create content that you can share with your viewers. So whenever you launch a new product, attend a conference or find a new way to use one of your products for example, look at the ways in which you can squeeze content out of it for use on your social media platforms. Anywhere your customers interact with your brand is an opportunity to encourage them to engage with you online. Once you begin, remember to promote all your social media platforms and that includes mentioning them on your e-newsletter, your email signature, business card, product packaging and anywhere else your customers will see it. Your customers and fans need to be told where they can connect with you through social media, so make it clear where you are. Social media is centred on having conversations and engaging with people. That being said, unless the aim of your platforms is to be akin to a personal journal, the content you post should not be simply an update of what you are thinking or doing no with no real substance or value in what you are writing. To avoid to making this mistake every post and tweet should have a clearly defined topic as well as delivering something valuable to the reader, whether that be entertainment or information. You must also write your content with your target audience in mind so rather than trying to appeal to a generic wider audience, write content that contains specialised information and analysis that those interested in your services or in your sector would read. By openly giving out valued advice and information you will become an online repository of specialist knowledge and this will attract the attention of your target audience. Central to being effective is also realising that conversation is a two-way process so you also need to listen to what people are saying to you and about you and respond to them accordingly. In order to get the most out of using social media as a marketing tool, you need to post content often. It is therefore vital that in the very beginning you figure out a comfortable writing routine that works with your editorial calendar, be it posting daily or several times a week, and stick to it in order to maintain consistency and maximise your impact. Although it takes some experimentation to find the best publishing schedule for you, there are two things that should always be considered and will dictate your posting schedule; your business goals and what your audience wants. The fact that customer service through social media is quickly becoming an expectation of consumers means you’re publicly open to both criticism and praise online. From this, it is vital that you watch for any negative things that are being said about you and respond quickly and accordingly. Rather than simply deleting any negative comments you receive, as even the most universally loved businesses receive negative comments, view them as an opportunity to win over a customer offering help, guidance or even acknowledging where something went wrong. By dealing with negativity in an open and authentic way you can help build rapport and trust with your customers. Also remember that often you will get praise online in the form of a great review or comment, do not forget to say thank you. Your success will be limited If you treat each social media platform as a stand-alone effort. Your networks should work together to help you achieve your goals, with your website acting as your brand’s home base. Coordinate and cross-promote your social media efforts to reach new audiences, boost your following and to push people to your website where they can buy your product or service. If you want to accelerate your social media performance, it’s worth your time to explore paid advertising options. Facebook offers a number of advertising options to help boost sales, brand exposure, audience engagement and website traffic. Twitter has two advertising solutions: promoted content that helps you cut through the noise and serve your content to tailored audiences and promoted accounts which help increase the size of your Twitter following. Likewise LinkedIn also offers opportunities to reach specific audiences by advertising or by the use of the sponsored updates feature to increase your brand’s visibility. Even if your budget is limited, don’t dismiss social advertising. Used strategically it can produce great results to boost your visibility and success on social media. Tracking and monitoring conversations happening around your brand and products is a time consuming but vital task that can be made manageable using social media monitoring tools. Ensure you actively make the effort to monitor mentions of your name, your business name, your products and any other keywords related to your business to find conversations already happening in your industry. Jump into those conversations and provide answers, guidance or helpful information where needed. Being useful is one way to start to build relationships with your target market. Actively join and engage the discussions in the communities populated by people likely to use your services and share some of your expertise when it’s relevant. Make it your aim to become and trusted member of these communities. You never want to be promotional in social groups, but if you’re consistently helpful and engaged, prospects will likely be interested and click through to your profile where they’ll find your posts and marketing collateral. As your social media connections move into your email list, you can and should continue to provide valuable information, notify them of upcoming deals and promotions and provide general interesting business news and updates. At this point in the funnel you have likely already become a trusted source of information, meaning your subscribers are warmed up to buying from you. Social media is all about building connections with your target market, and making yourself the first name that comes to mind when they’re ready to buy. Take this opportunity to craft perfect email campaigns, using segmentation whenever possible to be sure your content and offers are targeted to specific groups of subscribers and by the strategic use of strong calls to action in your emails to make sure your subscribers know what you want them to do, and what to expect when they click on your offer/content. By continuing to cultivate them with engaging, valuable and entertaining information in your emails, you will help to build connections that will result in long-term, profitable relationships. Customer advocacy is where your marketing ROI can take off. You’ll be putting in less effort to reach your marketing goals because your customers will effectively sell for you. There’s no reason why people should stop learning from you after they become customers. If they’re on an email list or subscribed to your blog, actively send out informational reminders for them to connect with your company on social networks. Depending on your business and market, offering vouchers or bargains such as free consultations can work well. The benefits for you are twofold: You’ll increase brand exposure and subtly help customers become your advocates. If your company offers a complex product, it might be a good idea to create a forum on your website or an entirely hub that’s purely for continued customer support, just for you and your customers to interact around your products. Externally, LinkedIn showcase pages and Facebook groups might be possible hubs for product-based conversations that build increased trust for your brand and position your company as worth advocating for. Over time, you might form mutually beneficial partnerships with repeat customers. Consider rewarding these relationships with more substantial opportunities such as inviting them to networking events. Your Own Brand Terms—make sure to monitor for all variations of your company’s name, including nicknames and common misspellings. Your Own Product Terms—A less frequently used strategy involves monitoring social for some of your popular products, as well as the common nicknames and misspellings. Consult with everyone who manages your social pages and build a document that houses all of these questions and some solid answers. Whilst you should never simply copy-paste those responses over to your customers, you can use this document to quickly guide your response. As you become a regular participant on social media platforms, you will find unique ways in which they can be used to the best advantage for your business. Nobody knows your customers and what they expect from you better than you yourself so delivering the content they want and engaging with them is the most important thing and will dictate your decisions surrounding your social media marketing efforts. As with any other marketing efforts, you will learn in time what works and what don’t, the important thing is to learn by doing. Whilst Benjamin Franklin wasn’t speaking to the owner of a local cupcake company looking to start a Facebook page when he said those words, they still ring true when it comes to a business starting out on social media. Just as you wouldn’t set up a business without a business plan, you can’t just jump straight into social media, start aimlessly posting and expect the customers to come rolling in. Rather, you have to sit down, grab a cup of coffee and develop a clear social media strategy. While there’s no one-size fits all solution, you can find social media success if you’re armed with the right questions to get you started. After all, a plan equals focus and focus is what is going to drive your business forward online. What Objectives do I Want my Business to Achieve by Using Social Media? Whether you want to use your social media presence to gain exposure for your brand, directly educate and interact with your customers, promote specific products and services or all of the above, clearly identifying your objectives is the critical first step towards a successful social media presence. Identifying your objectives in the beginning ensures a multitude of critical elements of your social media marketing, it allows you to effectively tailor your content and posting schedule, provide value to your customers, right through to helping you accurately measure your success as you will be aware of the most appropriate metrics to track efficiently. What is the State of My Current Social Media Use? Assess their presence: has it been thought through? Profile/cover photo/about section completed, effective and branded? Can potential followers immediately get a sense of company culture, products and services on offer? Content: How does their content support their strategy? What content receives the most clicks, likes and shares? Are they sharing engaging content? Do they encourage engagement? Offer something valuable/useful? How often is it updated? Are they engaging back with fans? Do they use hashtags effectively? How do they use images to tell the company story? How are the individual platforms being used to drive trafﬁc to the main web presence? Is it clear what the next step is that they want fans/followers to take? Call to actions in tweets/pins/posts? Record numbers of followers and following – are they both relevant and targeted audience? When the last time was their Twitter / Facebook/Pinterest etc. presence was updated? What feedback do they get from followers? Who are My Target Audience? Determining the audience that you want to reach and engage with on social media is fundamental to your strategy. Whether your target audience is your current or potential clients or customers, affiliate businesses, thought leaders or all four, your aim is to create a successful social media strategy that matches and is tailored towards understanding and acting on your target audience’s behaviours online. Creating Buyer personas helps you define and target the right people, in the right places, at the right times with the right messages. When you learn important factors about your target audience from their age, job status, income, interests, problems, to their likes, dislikes, motivations, where they spend their time online and in what format they like to digest their content online then it becomes easier to target them on social media. The key is to remember that the more specific you are the more successful and targeted you are going to be with your social media strategy that will bring real results and conversions for your business. What Platforms am I Going to use for my Business? What platforms you choose to use will ultimately depend on where your customers are and which ones are best suited for your business. Spend the time researching where your current customers are online and what platforms can be best utilised with your resources and business. The key is to not spread yourself too thinly across lots of social media platforms just because you think this will gain your business more exposure, rather it is much more effective to run a handful of platforms consistently and efficiently and to spend the time reviewing the platforms you are on to make sure they are as effective as they can be. You should also keep up to date with research into new technologies and platforms that your business could potentially utilise in the future. Each social media platforms is unique, with its own best practices, style, and audience. The key to choosing the right social media platforms relies on you having a clear understanding of your objectives for social media, your target audience and what resources/ information you have to share. Simply put, choose the ones that best fit your strategy and the goals you want to achieve on social media. You don’t have to be on them all—just the ones that matter to you and your audience. Purpose – What information do you want to share with and communicate to your audience? Format – In what format is the best way to present this information? Videos, Podcasts, extended pieces of writing etc. Platform – Which social media platform will allow me to share this message best and which platform has the correct audience that I want to reach? Time – How much time can I devote to a social network? Aim for at least an hour per day per social network. Once you get going, tools like Buffer can help you effectively manage your time. Resources – What personnel and skills do you have to work with? Visual social platforms like Pinterest and Instagram require good quality images. Social platforms like blogging emphasize quality content. Do you have the resources to create what’s needed? Audience – Where do your potential customers hang out? Which social network has the right demographics for you? Have I Done my Research? A successful social media presence is always aided by a good, solid foundation of prior research. You should look to do initial research into key areas such as your competitor’s social media, your target audience demographics, the latest trends and news in social media, marketing and business as well as many others. Conducting research and paying attention to changes in your industry and audience for example should also be a regular and active occurrence as things, especially social media, evolve and change so you need to keep up to date to ensure your strategy is as relevant and effective as possible. Market Research – Who is your target audience? How do they behave on social media? Where are they online? Latest Business and Social Media News, Trends and Techniques – Do you know the latest techniques on your social media platforms that are effective? What is changing in social media and/or business that could affect your marketing? Am I Clear on My Marketing Voice and Tone? The temptation at this point might be to jump right in and start sharing. Before you do however, it is crucial to cultivate a voice and tone of your marketing that effectively encompasses your brand. What do you want your customers to think about your company? Who is Going to set up and Maintain my Businesses Social Media Platforms? In the beginning you will need to decide who will implement and maintain your social media accounts. Whether you want to run them in-house or hire a social-media marketing manager or firm, you need to ensure that the person who is in charge of your platforms can effectively represent your brand and has the know-how to create and maintain a successful social media presence. That person is going to ultimately control how your business is presented to others in the online world so you need to be absolutely confident that they are the right person for you and your business. Have I Chosen My Core Topics? Market Reality – is there a demand on social media for the type of content you are offering? What Resources/ Content do I Have at my Disposal? Each social media platform has a certain type of content that is best suited towards it, for example Pinterest is inherently visual and as such requires good-quality and memorable images to be effective. From this, you need to understand what type of content that the platforms you are using is most effective and importantly what content resonates best with your audience. Once you are clear on both these aspects, you will be able to form an effective content strategy with maximised effectiveness. It is important that you share with your audience a diverse and interesting mix of content types that encourages engagement so you need to think about the types of questions you will ask, updates you will share and ultimately what resources you have that you can utilise and repurpose for your social media platforms. What Should I be Posting? A quick glance through any social media article, research and blog post will show an emphasis and push towards sharing visual content. This trend towards the visual has plenty of anecdotal evidence too, with it being a widely known fact that image posts get more views, clicks, re-shares, and likes than any other type of post. On Facebook, photos get 53% more likes, 104% more comments and 84% more click-throughs on links than text-based posts. Similarly for Twitter, in a study of over two million tweets from verified users across a number of different industries, Twitter found that photos have the greatest effect on retweets. Photos average a 35% boost in Retweets with Videos getting a 28% boost. What does this mean for your business? Simple. You must prioritise producing good quality visuals in your social media content strategy. So now we have established that you need to incorporate the visual into your content strategy. It’s time to take a look at what elements should make up your other content. There are hundreds of rules, strategies and theories on the best way and most effective ways to structure your content, the most used and most simple but effective strategy I use is the 70:20:10 rule. 70% of posts should add value and be brand and business building, stuff that your followers will find interesting, valuable and insightful and that supports who you are as a company. 20% should share ideas or content from other sources e.g. blogs, digital PR, websites, other social media channels etc. 10% should be self- promotional – your offers, discounts, marketing and promotional, sales etc. Business Tips: People love to hear valuable business tips. Humour/Relatable: Whether it’s a funny meme or something funny that’s happened in your life or your business, share it. Inspiration/Motivation: Inspiration is the number one most shared type of content across every social media platform. Open-Ended Questions: People love to talk and they love to answer questions. Offers and Deals: Did you know that getting deals is still the number one reason that people like brands on Facebook? We all love a good deal. Behind the Scenes/Sneak Peeks: People love to feel like they’re a part of what’s happening in your business. Opinions: You can give yours and/or simply ask for theirs. People love to give their feedback and feel like their voice is being heard. Industry News: There’s a huge value proposition in this. Firstly, you are educating your community on things that are happening in your space or in your niche. Secondly, doing this routinely will help you become an industry news or thought leader. Fill in the Blanks: It’s an alternative way to phrase a question and the best ones only require a one or two-word answer, which makes it easier for your fans and followers to answer and engage with. Strike Up a Conversation: Take the time to strike up a conversation. It’s a great way to build relationships. Testimonials: Let people know that other people value your services or your products. Open Q&A’s: Are a great way to provide value and get some real-time engagement with your followers. Polls: You can use a poll for a number of different things like collecting opinions and/or ideas. Polls are a great engagement tool, but it’s also a great way to get great information. Caption a Photo: Asking your fans and followers to caption a photo normally elicits good engagement. Make Predictions: People love predictions. They want to know what you think. Crowd Source Ideas: Ask other people for ideas. Whether you’re getting ready to do a new product or anything of that nature…ask! Highlight Your Customers: Let your social media followers know that you value them. It’s important. Tech Tips or Tools: People love tools and they love tech tips. Advice: if you have some great advice and you feel like its valuable then share it. Share Video or Audio Clips: In some cases video and audio posts are more impactful than a simple text based or image post. ASK! : Ask your followers what content they want to see. What is my Publishing Schedule? Whilst it is wonderfully easy for you to be told from a social media expert that you should post 2 Facebook posts a day, 10 Tweets and 2 Blog posts a week for example, the ironclad and definitive answer to the questions ‘What, When and How often should I post?’ is simple: It depends. Everything about the social media experience is about your individual audience and niche. What works for you might not work for me… the important thing is that you experiment and learn what does work for you. Your publishing schedule is going to be ultimately dictated by three things, your business capabilities, the platform you’re using and your audience needs. In the beginning you will need to experiment to find a publishing schedule that works best for your business, goals and readers and is the perfect balance of what you want and what your audience wants. Part of this consideration is also understanding the nature of the platform you’re using to publish and whether it is one such as Twitter that favours several short updates per day or Facebook where posting 7+ times a week is effective. Ultimately, when you are creating a publishing schedule you need to ask yourself, Can you keep this schedule consistently? Can you always publish high-quality content at this rate? And will you have enough content for this schedule? Once you’ve discovered the most effective schedule for you, being consistent with your publishing schedule has the benefit of increasing SEO value, maximising value and engagement from readers and encourages readers to come back regularly for more. As you have come to realise, everything about a business social media experience is unique to you. There is no one size fits all approach to what content to post, just like there is not one for about how often to post to social media either. Some of the factors that will impact your specific sharing frequency may include your industry, your reach, your resources, the quality of your updates and the social network you’re using. The best way to discover the ideal posting frequency is by looking at your own analytics and several tools available in the market, these are a great way to show you the best time of day to post on your social media platforms, how often and even when your audience is online. So what are you to do if you are just starting out on these social networks, with no audience and no history? This is where best practices come in. As a good example, SumAll, which compiled timing research from sites like Visual.ly, Search Engine Watch, and Social Media Today has created a great visual resource of what their extensive research found in terms of timing. How am I Going to Ensure my Business Branding is Representative and Consistent? Having a social media presence is a great way to show a wider audience who you are, what you stand for and ultimately why they should love you. From this, it is important that you know clearly what your brand stands for and how this is going to be conveyed consistently and accurately across your platforms. This consideration needs to be applied to everything from the voice you want for your brand that can be consistently applied across all your posts to the creative aspects of your platforms- that is the overall presentation including the colour scheme and typography. By setting consistent guidelines over the presentation and integration of your branding into your social media platforms it ensures that all these factors support and are in line with your overall branding and help reinforce your message and brand. Am I Going to Have to Create a Written Social Media Policy for my Employees? If there are going to be several different administrators of your platforms or you run a business with staff members who have personal and/or business social media accounts, it is well worth creating a social media policy for your staff to sign so everyone is clear on their responsibilities and what is deemed appropriate and inappropriate behaviour when they are representing or discussing your business online. Have I Considered My Mobile Strategy? With ever increasing numbers of people accessing the internet and social media platforms from their mobile devices, it is vital that you optimise your profiles for mobile users and give them a mobile friendly experience. Therefore you should test and experiment with your platforms to see how they look on both your desktop and a variety of other mobile devices to ensure you provide a seamless experience for those visiting your social media platforms no matter what device they are viewing them from. When assessing your site from different devices, you should check for several key areas such as; do your images still remain high quality? Are the social media sharing buttons clearly positioned and working properly? If text is used, it is readable on a small screen? The time you spend to perfect your platforms from your desktop should also be spent on making your site work for mobile too, if you fail to do so then you could lose traffic and sales as you will not be providing users with a good experience. How am I Going to Measure the Success of my Social Media Marketing Efforts? Tracking your social-media marketing metrics is a fundamental part of the social media marketing process as it helps gauge which tactics are successful and which areas are in need of improvement. Put a plan in place that allows you to track, measure and assess your results consistently to see what content/strategies resonates best and to ensure you are successfully meeting your social media objectives and if they are still relevant to you. Adjust your strategy and your content when appropriate to keep your social media content fresh and your information topical. The more you post, the more you’ll discover which content, timing, and frequency is right for you. Ultimately, Have I got a Clear Strategy? Having a clear idea on every aspect of your social media marketing strategy is key to its success. Ultimately, you should easily be able to answer confidently and with clarity the below questions that form a basic social media marketing strategy. Part of maintaining a strong, successful presence is also to regularly assess whether certain aspects of your original strategy have changed (For example are your objectives still the same? Is there a new social media platform that your audience is using?) and then adjust your efforts accordingly. As you become a regular participant on social media you will find ways in which you need to improve certain areas and areas in which you excel in, so never stop learning and listening to what your audience and your analytics tell you. Why have I joined social media? What is my brand’s overall purpose? What does my business aim to achieve with social media? Which social networks do they use? What topics and sources of information are most important to them? What jobs can I help them complete? What is my brand voice? What is the overall tone of my social media updates? What emotions do I hope to convey through my brand’s messaging? What types of content should I post on which social platforms? What type of content best supports my content marketing aims? What are the main topics, categories or messages that support my brand? Should I use social media to provide customer service? What realistic resources do we have? Who should set up and maintain my company’s social media accounts? What is the workflow from content creation to publication? How often should I post new content on my social networks? How does social media fit with our other campaigns? How will I measure ROI and define success with my social media strategy? What is working with my social media marketing efforts? What is the customer journey from search to purchase? Where does social media fit within my funnel? 10 Valentine’s Day Promotion Ideas for Your Restaurant! With Valentine’s Day right around the corner, and with love struck Brits spending in the region of £1bn every Valentine’s Day, if you don’t have your restaurant marketing ideas in order, now is certainly the time to get them sorted. Live music? Flowers? Special Menu? Here are 10 Valentine’s Day ideas to help inspire restaurants across the country to get in the mood for love! You could hold a couples class experience where they can learn to make a dish in an evening. For example Red Lantern hosts a sushi making class for couples with guests even getting to take a gift home with them as well. What’s not to love! Give the gift of great food by offering a gift card! Start promoting your gift card availability right now to try and catch the eye of someone looking to buy a gift for their partner. You should offer your customers at least one thoughtful souvenir from the night. This could be anything from a small box of chocolates, to a fresh cut rose or have a photographer going around on the night taking photos for customers to take home with them. Rather than playing generic radio/cd music, look to invest in some live music to create a special atmosphere. It doesn’t need to be an expensive string quartet, you could go for single pianist for example. Bonus points for hiring a local musician! (Make sure to promote this on social media and get your musician to promote the event on their platforms too). Create a special Valentine’s Day cocktail or mocktail to make your meal something special. For ideas you can always look for mixes online! Design a special Valentine’s Day menu, making sure to create it around foods associated with love and romance! Honey, Oysters, Figs and of course chocolate are all aphrodisiac foods to add to your romantic Valentine’s Day menu, to ensure you get your customers in the mood for love! Ask Your Suppliers to Get in on the Action! Ask your supplier to supply some free stock for the big night. A few complimentary bottles of fizz isn’t that expensive to them and offering a free glass on arrival to your customers is a nice touch that will certainly have them loved up! There’s a lot of competition for business on Valentine’s Day, so keep an eye out for what your local competitors are up to and price accordingly. Remember that you are not only competing with other local restaurants, you’re also competing with the major supermarkets that offer a variety of ‘Meals for 2’ eat at home options! Charge enough that people expect (and get!) something special and thoughtful but bare in mind that running a promotion via Book a Table, Groupon or Wowcher for example will help ensure you appear where people are searching for potential Valentines Meals. It’s inevitable that being in a low-lit restaurant, with soft romantic music playing in the background whilst you eat incredible food is the perfect ambience for a proposal! If someone does pop the question to their significant other, make sure you’re ready with some free champagne and desserts, along your camera – so you can share the romance across social media! Don’t be Afraid to Do Something Different! Valentine’s Day isn’t such a great day for singletons. If you fancy doing something a bit different, why not tap into those people and hold a ‘Singles’,‘Gal-entines’ or even ‘anti-Valentine’s Day’ night for those not wishing to get caught up in all the soppiness. Another idea is to consider promoting a romantic lunch instead of dinner for those who want to celebrate without the crowds. Savvy restaurants will utilize this day by teaming up with local press to gather some attention! You could build a social media campaign around a great offer such as a free Valentine’s meal for 2 to in exchange for the best love story! TOP TIP: You can have the best idea ever for your restaurant on Valentines, but if you don’t tell anyone about it then nobody will come. Ensure that whatever idea you decide on… you tell people about it! Use all your social media platforms (plus your email marketing!) to tell your existing customers, fans & followers about what you have on offer and consider paying for some advertising – particularly on Facebook to give your posts that extra boost. You can also encourage your current Facebook fans to tell their friends about your night too, by offering an additional special deal for those that share your post. What is Social Media and Why is it Important? Social media is the means by which people interact with others in virtual communities and networks allowing them to create, share and exchange information and ideas. With the rapid popularity growth of these new technologies, social media has had a profound impact on the way people discover, read and share news, information and content. Social media encompasses all forms of ‘user generated’ content, from communication platforms such as Facebook and Twitter to multimedia services such as YouTube and virtual gaming platforms like World of Warcraft. It has become extremely popular as it allows people to connect and form relationships in the online world for personal and business use. 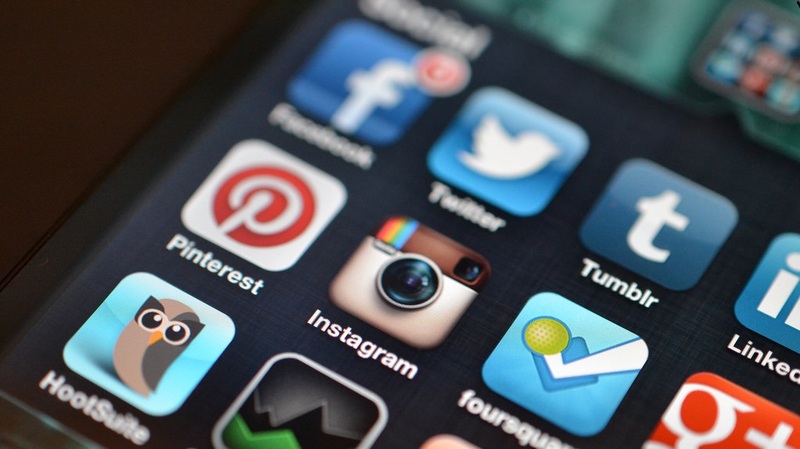 How is Social Media Being Used by Businesses? Social media puts you out there and brings your solutions to your prospects’ doors. As such, the benefits of creating a social presence on the web have been felt by every type of business and industry. Whether you have a restaurant, retail outlet or provide professional services, social media enables you to build your online reputation, increase credibility and help generate business and drive sales. By taking advantage of social media, you can make your business gain more exposure, be more personable and generate and maintain long term connections as well as benefit from rich insights into your customers and industry. All of which can greatly benefit your business in the future. Why Should You Join In? Social media has become a central part of most people’s lives, whether they are at home or on the go, people are actively engaging online. These users aren’t just sharing updates from their own lives; they are searching for businesses, products, and services, and connecting with brands through their social channels. People of all ages and genders are actively using social media so no matter how old or young, or what gender your target audience may be, chances are most of them are already logging on and waiting for you to get started. Getting started on most social media platforms is completely free. Facebook, Twitter, Pinterest, YouTube, WordPress and LinkedIn all offer free accounts to users and businesses and in most cases signing up won’t require anything more than an email address. There are features within some platforms that you need to pay for such as a Facebook Ad or a profile upgrade in LinkedIn, but for the purposes of getting started there’s no upfront cost for most of the social networks. Social media provides you with an opportunity to listen to the conversations about your business and industry being openly discussed online. Not only does joining this conversation mean you can hear what is being said about you, it also means you can easily develop a richer understanding of your customers and benefit from insights into your target audiences. Moreover, it can also be used to create dedicated communities where you can host discussions about the products and services you offer or use your followers as an outlet for helping build new ones. Customer service through social media is quickly becoming an expectation of consumers. Businesses have quickly come to realise that it offers a unique opportunity to showcase your customer service skills, promote more intimate business relationships with your customers and enables you to cater to your customer’s needs instantly. In a world where everything is fast-paced, a quick response that showcases how much you care about providing a memorable experience can create a lifelong customer. Social media allows you to continually strengthen relationships with these customers through social engagement and because this engagement is publicly visible to others, it can introduce your business to a whole new audience and enable you to reach your next customer. Social media sites are becoming the go-to place for consumers who want to learn more about a business. People are online actively searching for information about anything from product reviews to informative articles and general entertainment so it is up to you to utilise this and use your social media presence to provide valuable, informative and entertaining news and updates to existing and potential audiences. If customers are already searching for you on Facebook or Twitter and not finding your business, you are missing opportunities to win new customers and inform and engage your existing ones so it is vital that you join in with social media and have your brand heard and seen online. Get Updates Straight to Your Email! Monthly Must-Do Checklist to Keep Your Social Media Profiles Fresh! Instagram: Why Your Business Needs it and Top Tips for Success! Click Here to Buy My Book on Amazon!